'The Legend of Korra: Turf Wars Part 3' is an excellent conclusion to the trilogy – AiPT! A great conclusion to this three part story that continues to build Korra’s story and the world of Avatars. Part 3 of The Legend Of Korra: Turf Wars is here and if you haven’t yet, you’ll want to be sure to read Parts 1 and 2 because this is the culmination of those two books. Although I’d assume if you’ve opened this article you’ve already done so. 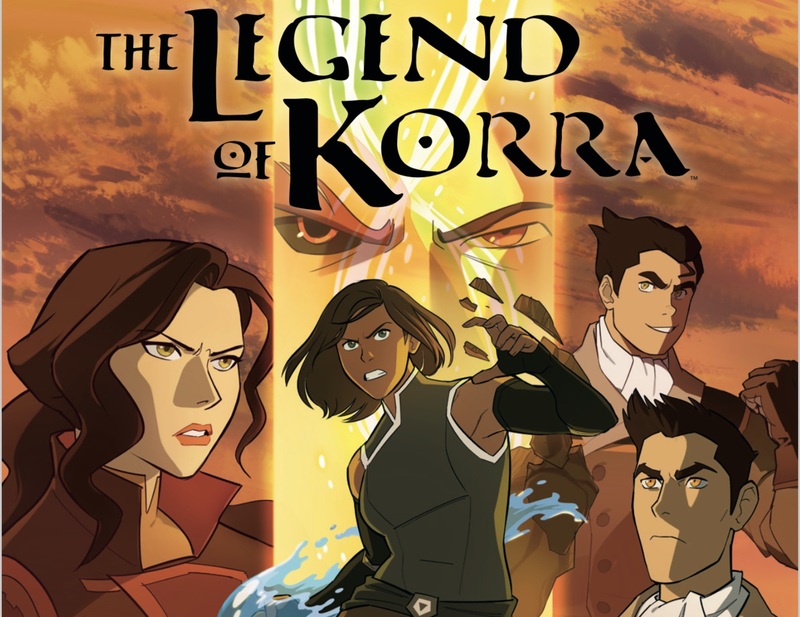 However, if you are a fan of the TV series The Legend of Korra and haven’t started this story, its a great continuation of where the show left off and I definitely recommend giving it a shot. It’s an easy transition because the illustrations are very similar to the animated show and no crazy character development has taken place before this point. So the real question is, does Part 3 do a good job of wrapping up this story and provide a satisfying conclusion? For the most part, yeah. The first thing that I really enjoyed was the way all of the presented stories culminated together. While the brunt of this adventure is Tokuga’s wrath on the city, there are several side stories that take place simultaneously including the portal to the spirit world and the conflict between Zhu Li Moon and President Raiko over city leadership. The latter arc shows that the writers are willing to tell stories that change the landscape within the comic book world. This is important because we’ll most likely never get a return to television for Korra. The comics needs to push the story and be willing to make changes instead of everything always returning to normal. Bolin deciding to leave the force is one of those decisions. While small, it continues to define The Legend of Korra going forward. My only gripe was in the way Tokuga was left in limbo as a character. He has a pretty intense final battle with Korra in the airship and then disappears into the bushes when he is bested. Obviously the intent is to leave it open for him to return somewhere down the line, but this implies that more Korra books will be released at a rate in which it calls for his return. Considering it took three years from the show’s ending to get our first trilogy of graphic novels, I don’t see this being likely. It would be welcome for sure, because who doesn’t want more Avatar, but I think any future stories would be better served to explore different parts of the world and new characters. I’m not saying Tokuga should have died, because thats very un-Avatar like, but after three books you’d expect his story to be wrapped up pretty definitively, especially after how much carnage he caused. If you enjoyed Parts 1 and 2 enough to make it to Part 3, I think you’ll mostly be happy with the way the final chapter unfolds. As I said in my review for Part 2, the entire presentation of this comic and story is as close to another episode of The Legend of Korra as you could ask for. It’s practically a storyboard for a three part arc waiting to happen. Ultimately reading through these three graphic novels makes me sad that Korra’s story didn’t get to continue on as her relationship with Asami has been a great read. Korra’s embrace with her father at the end over his acceptance of their relationship was touching and makes for a great lesson of any age. Here’s hoping this is the beginning of more story arcs to come. A great conclusion to this three part story that continues to build Korra's story and the world of Avatars.